The Iowa Crush traveled several hours to be the first opponent of the Madison Blaze inaugural Season home opener. A special thanks to The Pizza Oven, Jim’s Meat Market, and Goben Cars who helped make the game day such a success! Jessica Lundgren helped lead the team to victory with five touchdowns and 178 rushing yards on ten attempts for a 17.8 yard per carry average. Kara Haines had 2 punt returns for 105 yards for a 52.5 yard average and a touchdown! Chelsea Alt put 5 PATs through the uprights on 6 attempts. 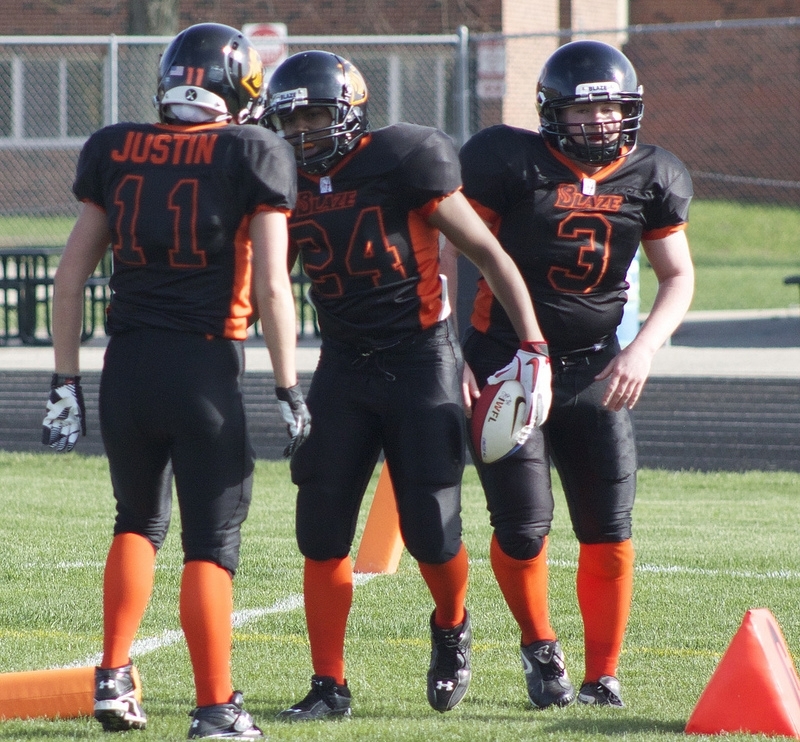 Both defenses put up a hard fight, but the Madison Blaze really stepped up. 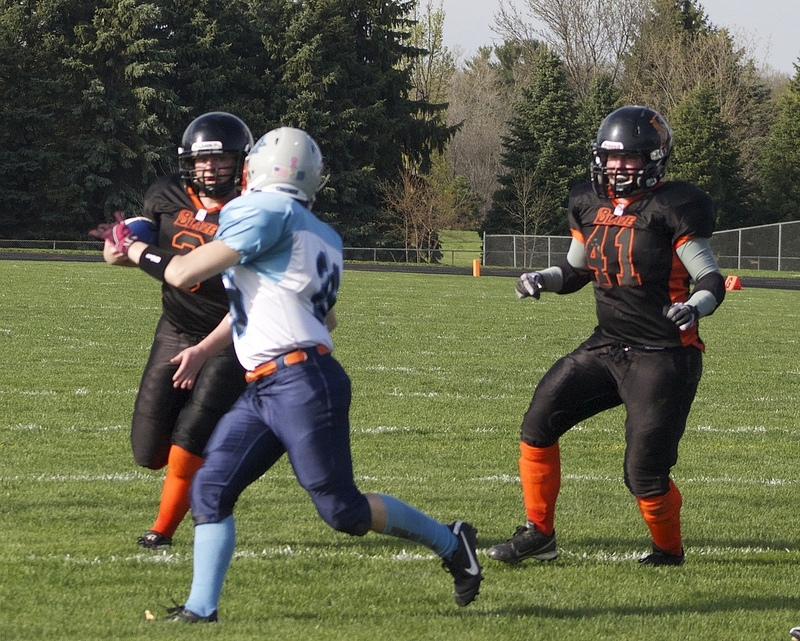 Erica Gittings led the team with 9 tackles and added a defended pass. Rookie Briana Geisler had two interceptions! Pam Close showed her strength as she made six tackles. Leslie Gittings and Brianna Smith tied with five tackles each. 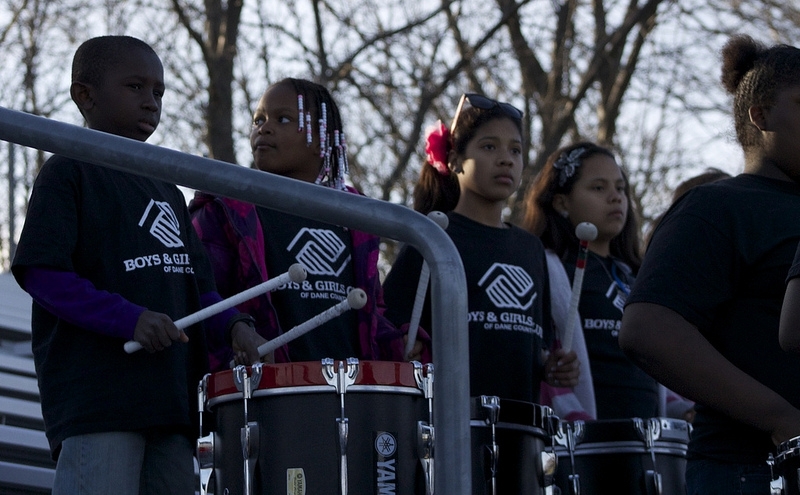 The Boys and Girls Club drum line lead the cheering crowd throughout the entire game. 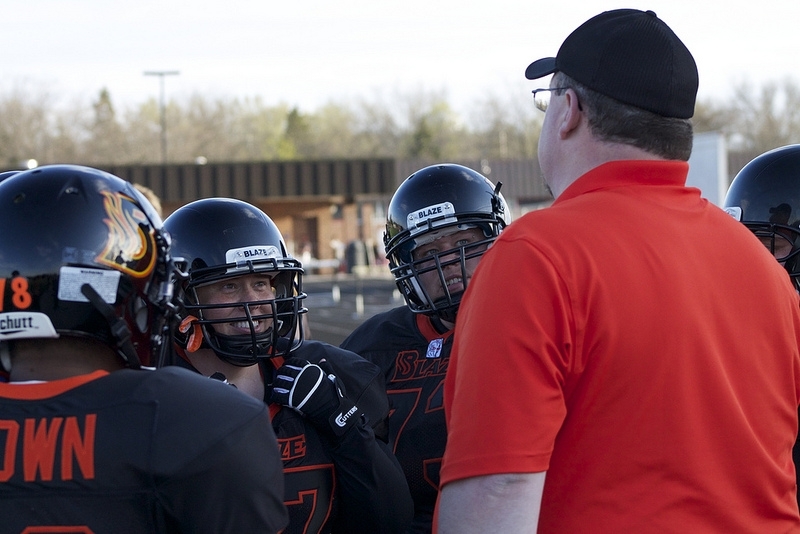 With much enthusiasm and love for the game, the Madison Blaze defeated the Iowa Crush 41-0. This season would not be a reality without the gracious support of our sponsors and partners. Madison Blaze 2013 partners: Spot on Graphics, UW Health Sports Medicine-Susan Long, Postal Connections & Integrated Sport and Spine Clinic of Madison.